Exit 49A as seen from I-77 North. 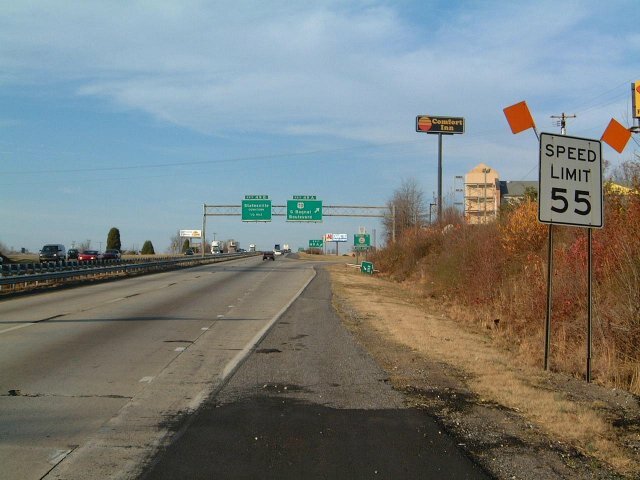 After exiting, turn right at the stop sign. Click on the picture for a larger version. 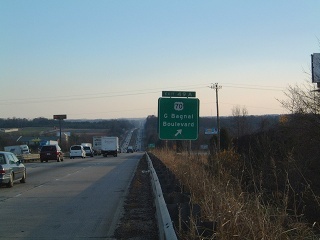 Exit 49A as seen from I-77 South. After exiting, turn right at the stop sign. Click on the picture for a larger version.